Close to 100 local people braved the night in a chilly covered carpark on Friday 5th April all in the name of helping to prevent youth homelessness in Solihull! Thank you to every single one of them! Details of how to get your sponsoroship money to us are on our Donate page. However if you choose to do this via Paypal or BACS please drop us a line first by email so that the amount is attributed to this event and therefore goes to our projects in Solihull. Otherwise it will be treated as a general donation. This will be confirmed shortly. Please check back. 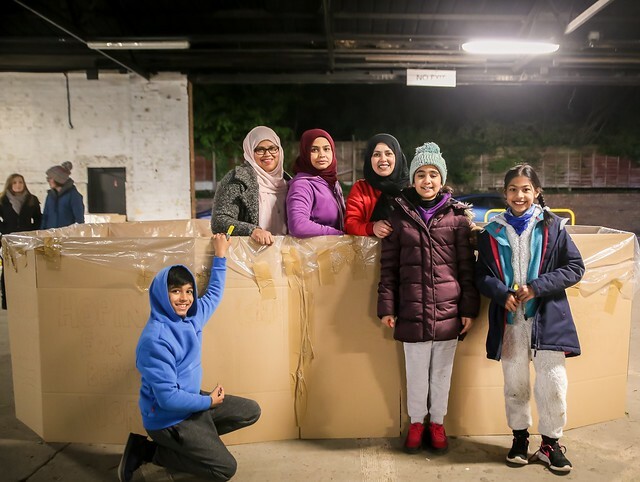 If you took part in this event you are welcome to download photos of yourselves from our Flickr album: Solihull Sleepout 2019. If you didn't take part in this event please contact us first via fundraising@stbasils.org.uk.